It is an advisory council concerning the Institute’s scientific and cultural orientations for the President, the board and board members. Cristina Castel-Branco is a Portuguese landscape designer, doctor of the history of gardens, who teaches in foreign schools and universities. In 1985, she obtained a degree at the Instituto superior de Agronomia of Lisbon, and in 1989 a Master of landscape architecture at the University of Massachusetts, completing with the Design school at Harvard University. She restored the botanical garden of the National palace of Ajuda between 1994 and 1997 while being responsible for the 1998 Universal exhibition. She is also a specialist in the restoration of historical gardens and ecologic design. In 1991, she created the Portuguese agency ACB Arquitectura Paisagista, specialising in botany, art of gardens and urbanism. Since 2006, she is a member of the Scientific Committee of cultural landscape of Unesco (ICOMOS) and was appointed chairwoman of the scientific council of the European Institute for Gardens and Landscapes in 2013. She has translated the fictionalized biography of André Le Nôtre by Erik Orsena in 2003. He wrote the preface of her book Félix de Avelar Brotero – Botaniste Portugais 1744-1828 in 2004. Pascal Buléon, is a geographer trained at Caen. He is the chairman of the MRSH at Caen University since 2009 and director of research at the CNRS for space, territory and society. Being the new chairman of the MRSH, he plans to increase research in general, and especially the sector of digital document, sustainable development, as well as training and qualification employment. He specialises in analysis of specific territories and their economic, social and political dynamics. He achieved many studies on North- west Europe and Low Normandy. Julie Deslondes graduated at the Ecole des Chartes (ranked 2nd in order of merit) and at the Institut National du Patrimoine in 2001 as a laureate. She started her career as deputy director of departmental Archives of the Bouches du Rhône, before joining Calvados in 2008. She has been in charge of contemporary and modern archives and of the cultural and information department. She also led the project of “electronic archives” of Calvados. Since September 2013 she runs departmental archives of Calvados with forty agents. She is also a lecturer for Masters degree at Caen University de Basse-Normandie besides her functions at the General Council. Peter Goodchild operates as mentor, adviser and lecturer specialising in garden and landscape heritage and its conservation in Great Britain and abroad. He studied Horticulture, Landscape design and Conservation at university. Between 1979 and 2006 he was based at the University of York where he specialized in the history, conservation and sustainability of landscapes and gardens of historical interest. His work here, at the Institute of Advanced Architectural Studies, contributed to the establishment in 1984 of English Heritage’s official Register of Parks and Gardens of Special Historic Interest in England. It also led to the setting up of the Parks and Gardens UK database project in partnership with the Association of Garden Trusts. Since 2005, he has been a member of the International Conservation Board (ICB) of the Muskauer-Park-Muzakowski World Heritage Site and the Branitzer Park. He is also an Advisory Member of the International Scientific Committee on Cultural Landscapes (ISCCL) and a member of the ICOMOS-UK Cultural Landscapes and Historic Gardens Committee. He is currently the Director of GARLAND (The Garden and Landscape Heritage Trust) based in York (UK). GARLAND’s general aim is to establish a regular programme of ‘supplementary education’ about the history, care, and conservation of green and outdoor heritage with special reference to gardens and landscapes. Nathalie de Harlez is a garden historian of Belgium origin. She graduated in « Historical gardens, heritage and landscape » (Architecture school of Versailles) and is currently finalising her doctorate thesis on « The Art of gardens in Southern Netherlands and the principality of Liege from 1761 to 1827 » at Liege university. As the co-ordinator of the Inventory of parks and historical gardens of Wallonia, (nine volumes, 1993-2008), she published a synthesis book on Parks and historical gardens of Wallonia with a repertoire of the landscape designers (XVIII-XXI century). (Walloon Institute for Heritage, 2008). She acted as co-ordinator of historical garden studies and finalised the preliminary study for the restoration of the gardens of the Medicis villa in Rome, the villa Demoiselle in Reims, Annevoie and Freÿr in Belgium. She teaches at ULg/Gembloux Agro-Bio-tech and participates to a Masters degree of cultural heritage conservation and restoration with the three French speaking University Academies of the country. She is also a member of the royal Commission of Historical monuments, sites and archaeology specialised on “Historical gardens” and a member of international Committee of cultural landscapes of ICOMOS (since 2012). After studying history of art and language philology at Mainz, Pavia and Paris, she worked at the Christian institute of Archaeology and History of Art of Freibourg. She has conducted researches at the Bibliotheca Hertziana in Rome and taught History of the Art of gardens at the technical University of Munich. She is a co-founding member of the international history of art network, the network for German orangeries and the German historical gardens circle for the art of gardens and landscape culture. Paolo Pejrone is an Italian architect and landscape designer. He graduated in architecture at Turin Polytechnic. He was trained by Russell Page, and went to Roberto Burle Marx’s studio at Rio de Janeiro. Since 1970, he has worked in Italy, France, Spain, Suisse, Saudi Arabia, Greece, England and Germany as a landscape designer. Since 1972, he currently writes about gardens for many newspapers and magazines. He has also been the vice-chairman for Italy at the international Society of Dendrology (IDS), the founding member of the Italian association of landscape designers (AIAPP) and founding chairman of the Piemonte Garden Academy. Since 2015, he is chairman of parks and gardens of Italy (APGI). He has published a number of books, among them: Les Jardins d’Agnelli. L’histoire d’un domaine d’exception (1998), In giardino non si è mai soli (2002), Il vero giardiniere non si arrende (2003), I miei giardini (2008), Gli orti felici (2009), La pazienza del giardiniere (2009 and 2011). Margherita Azzi-Visentini, a literature graduate and doctor in history of art, teaches history of architecture, gardens and landscapes at the Politecnico di Milano (Polytechnic University of Milan). She has written over 250 publications. She has focused, in particular, on Palladio and on his influence in the Anglo-Saxon world, on the architecture of Venetian villas and gardens from the early modern period, on the British colonies in America and on the Borromean Islands, on the sources used for Italian garden study and on travel across the Alps. She has worked in partnership with CISA, Vicence ; Fondazione Benetton Studi Ricerche, Trévise; the Rome Study Centre on Culture and Image; Archivio del Moderno, Mendrisio (Switzerland) and other institutions. She was President of the Jury for a dissertation on gardens “Verbania Editoria & Giardini”, member of the jury for “Il Parco più Bello”, member of the AIAPP, of Ateneo Veneto, of the Istituto Veneto di SS.LL.AA, of the ICOMOS International Council on Monuments and Sites and senior member of the SAH, Chicago. She has acted as invited professor at Dumbarton Oaks and at the CASVA in Washington and the Yale Centre for British Art in New Haven. A monograph on the relationship between the villas of Venetia and landscape, Paesaggi di villa. Architettura e giardini nel Veneto (in collaboration with M. Cunico and G. Rallo) was published in 2015. Mónica Luengo Añón is an art historian and landscape architect. She is the former President of the International Scientific Committee of Cultural Landscapes ICOMOS-IFLA and former Director of the Master Course on Cultural and Natural Heritage: innovation, research and development option at the Andalucía International University. She is also a member of the Instituto de Estudios Madrileños. Her field of expertise is linked to theory and practice in the assessment, inventory, conservation and management of cultural landscapes and in the research, restoration, conservation and management of historic gardens and parks. She has also worked as a World Heritage Consultant. Over the past 15 years she has organised seminars, exhibitions and has given lectures across the globe on historic gardens and cultural landscapes. She is the founder and director, since 1999, of the ATP Arquitectura Territorio y Paisaje landscape agency, and has conducted restoration projects for heritage landmarks such as Real Monasterio de Guadalupe, Palacio de la Mosquera, Madinat al-Zahra, etc. Other projects she has undertaken include management and conservation plans for cultural landscapes, parks and urban spaces and public and private historic gardens. 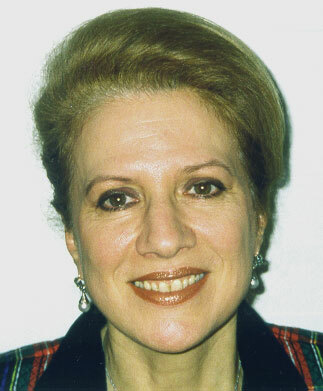 Mónica Luengo Añón’s publications include books such as Jardines Históricos de España, Jardins d’Espagne, El Capricho de la Alameda de Osuna and articles published in Historic Gardens and Climate Change, Parámetros del jardín español, Mediterranean gardens, Revitalización de centros históricos, Agua y paisajes culturales, Valor cultural del Paisaje rural, Palacio de Liria, etc. Her qualifications associate three fields: gardens and landscapes, the environment and cultural heritage. Her early research focused on the relationship between art and nature. From 2000 to 2002, she directed the Cluny Museum of Art and Archaeology (Saône-et-Loire). As such, she paid a particular interest to the history of medieval gardens. Since 2003, she has worked in the Normandy Regional Council’s Inventory and Cultural Heritage department, as project leader and research officer. In her capacity as project leader, she is a member of inter-regional scientific committees for museums, is in charge of the scientific and technical partnership with the Giverny Museum of Impressionisms (a public cultural cooperation establishment) and of the European Cultural Route of Impressionism. She also accompanies historic monument restoration campaigns and initiatives in the study of intangible cultural heritage. As research officer, her missions initially involved the subject of high schools (publication of Du collège des jésuites au Lycée Corneille de Rouen, 2015) then of gardens. Within the context of her various professional missions, she also acts as exhibition commissioner (recently for the “Le mouvement entre représentation et expérimentation” – the movement between representation and experimentation exhibition on the occasion of the 30th anniversary of the FRAM – Regional museum acquisition fund). He is director of publication of the Jardins themed magazine, published yearly and offering an opportunity to explore the existential, philosophical and poetic dimensions of gardens via contributions from artists, landscapers, gardeners, writers, art historians and sociologists. He is the ‘translator-author’ of an essay on garden art entitled Le jardin perdu (by Jorn de Précy, Actes Sud, 2011) and of the narrative work Jardins en temps de guerre (by Teodor Cerić, Actes Sud, 2014). Both works have already been published in Italian and will be translated into Spanish in April 2018. In 2016, his essay entitled Tornare al giardino (Ponte alle Grazie) was published in Italy. He has organised international colloquiums on the art of gardens (L’héritage d’André le Nôtre, 2013, Les jardins d’artistes en Europe au XIXe siècle, 2015, Que deviennent les jardins historiques ?, 2017), for the Hauts de Seine Council, in partnership with the European Institute of Gardens and Landscapes and ICOMOS-France. He has also published several articles on the art of gardens in specialised magazines such as Polia and in cultural publications such as La revue des deux mondes. He has, since 2016, been publishing a monthly column in the Italian magazine Gardenia. A Law and History of Art graduate from the University of Paris X, Emmanuel Ducamp was editorial director for Alain de Gourcuff Editeur in Paris from 1992 to 2001. In this capacity, he coordinated the publication of a series of works on Russian architecture, decorative art and art in the 18th and 19th centuries. With Oleg Neverov, curator of the State Hermitage Museum in Saint Petersburg, he contributed towards the production of Grandes collections de la Russie impériale and directed the publication of Tsarskoïe Selo, a major work on the palace and gardens of this Imperial summer residence. He also published Saint-Pétersbourg, a major reference book on the town and its palaces’ general history and architecture. Since gardens are one of the subjects he cherishes most, Emmanuel Ducamp has for a long time developed an interest in Imperial and aristocratic parks in Russia, of which he has also published a number of watercolours under conservation in Russian museum collections. Professor at the École du Louvre, he regularly gives conferences on Russian or French subjects in England and the United States (Metropolitan Museum of Art, New York; J.-Paul Getty Museum, Los Angeles; San Francisco Museum of Art, etc.). Member of the Association des Parcs Botaniques de France (Association of French Botanical Parks) and the Société des Amateurs de Jardins (Garden Amateurs’ Society), Emmanuel Ducamp is also president of the Association Paris-Saint-Pétersbourg, which promotes cultural exchange between France and Russia.